If you are looking for a lift when it comes to working out in the gym, then testosterone boosters are a must-have part of the daily regime. However type testosterone boosters into Google and you will be swamped by around 815,000 different pages for you to wade through. So what do you do… Pick one that has the most impressive-sounding name? Opt for one with the loudest claims? Or just close your eyes, move your mouse around randomly for a bit and then click and hope? The most sensible approach would be to read a few reviews, look at the ingredients and then make an educated decision from there. 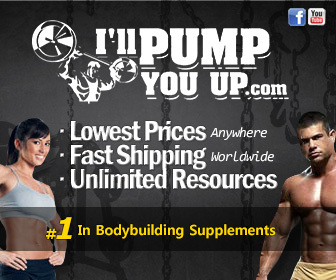 First and foremost, you are after 100% natural ingredients that safely boost testosterone levels. Secondly you are looking at there being a significant dosage of these ingredients – and not just listed out in a proprietary blend. D-Aspartic Acid: The new kid on the block in terms of research, this amino acid works by helping regulate the release and synthesis of testosterone. Fenugreek: Helps boost testosterone levels through boosting your libido. Magnesium: Research has shown that magnesium helps to boost free and total testosterone levels. Vitamin D: There is correlation between men with low testosterone and lesser amounts of vitamin D.
There are plenty of benefits to taking the capsules, although different products will have varying effects on individuals. The natural testosterone boosters are safe and have few side effects when taken correctly. Unlike steroids, the best testosterone boosters contain all natural, safe ingredients. TestoFuel, from Roar Ambition, certainly ticks a lot of the must-have boxes when it comes to purchasing a testosterone booster. It is made with natural ingredients and not only includes everything you would hope for, it does so in fairly impressive doses. The d-aspartic acid content of each serving, for example, comes in at 2,300mg. TestoFuel also contains oyster extract and although that means the product is not suitable for vegan, it is another additional boost for the body’s testosterone production. Encouragingly there are no propriety blends in the ingredients, so you can see exactly how much you are getting. A bottle contains 120 capsules to be taken four times a day, while there is a 90-day money back guarantee allowing you to try it risk-free. MusclePharm’s Battle Fuel XT is certainly a worthy contender to consider and there is no doubting the stable of supplements it comes from. Battle Fuel XT claims to work on four levels: by increasing our bodies natural testosterone levels, enhancing our existing levels, creating the perfect environment for growth and by suppressing estrogen levels. Battle fuel uphold the idea that this multifaceted approach to increasing testosterone is what makes them leaders in the muscle building industry. It includes a massive dose of d-aspartic acid (3000mg), while vitamin D (albeit in a much smaller dose), zinc and magnesium are among the core ingredients. Suma Extract, Maca and Carnitine assist in the muscle growth process. Suma Extract works in a similar fashion to Tribulus Terrestris; creating a perfect anabolic environment for muscle growth. However at eight capsules a day (160 in each bottle) it can be a little off putting for some people. From Nutrex comes T-Up, which claims to raise the bar in boosting testosterone levels and includes clinical research to support this on the packaging. D-aspartic acid is the main ingredient, with 3,000mg per serving (four capsules), while Zinc, Vitamin B6 and Vitamin B12 are also included, as well as folic acid. There is plenty to like about T-Up, including the energy boost it delivers, while it is good value for money. This testosterone booster should be cycled and Nutrex recommends taking T-Up for 60 days. That sums up our top three testosterone boosters, if you’ve tried these and had any success, let us know in the comments!